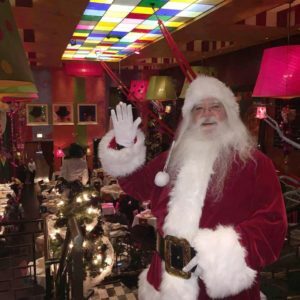 Carnivale is excited to celebrate the holiday season with three Sunday brunches featuring Santa and Mrs. Claus. The brunch will be a full buffet featuring adult and kid-friendly items. Carnivale’s brunch includes a Korbel Mimosa Cart, where guests can be served bubbly tableside, and some of Carnivale’s signature brunch favorites in a holiday-themed buffet.